If you're thinking about booking a trip to Paris in the springtime, you'll be joining droves of other travelers in search of the idyllic Paris encountered in Hollywood films and familiar photos. You may have seen movies such as "An American in Paris", featuring a jaunty Gene Kelly courting the lovely Leslie Caron in a version of Paris so hyper-colorful it seems unreal. And as it turns out, it was all an illusion: the "shots" of Paris you see throughout were all filmed on a set. While the "real" city is a tad less dramatic as it thaws from the colder months, it's still incredibly attractive, and isn't likely to disappoint you. Be forewarned, though: as high season starts, you'll have to be prepared to share it with many others. Read on to learn why spring in Paris can be truly magical — as long as you follow these tips. The weather in Paris during the spring months can be quite variable, alternating between chilly and rainy to warm and sunny. In March, it can still be cold and even icy, while in late May it often feels as if summer is well on its way. Rain is always to be expected throughout the season. Make sure to prepare for unpredictable cold, wet or warm spells by packing accordingly. Layering is essential for a spring trip to Paris, especially in March, April and early May. Pack plenty of warm sweaters, long-sleeved shirts and pants, and don't forget waterproof jacket and shoes. A scarf is also essential as windchill can leave your neck feeling bare and vulnerable — plus, it's oh-so-Parisian to find creative ways to wear one! A sturdy umbrella should always be part of your arsenal, as unexpected downpours are common. If you're traveling in late May, warm weather is likely to be on the horizon: bring short-sleeved shirts, skirts, open-toed shoes for those really hot day, and even a bathing suit in case you go on a day trip to somewhere where you can enjoy a refreshing dip. Saint Patrick's Day Celebrations in Paris: Paris has a large and vibrant Irish expatriate community, so celebrating this greenest of holidays each March 17th is always memorable. Celebrating Easter in Paris: From decadent gourmet chocolate eggs and bunnies to peaceful services (irrespective of your religious beliefs), feting this holiday in the French capital can be truly memorable. And if you observe Passover, there are plenty of ways to mark this Jewish high holiday in the capital, too. The Banlieues Bleues Jazz Festival: Jazz fans shouldn't miss this lively festival that takes place in the northern suburbs of Paris each spring (usually in April and May). Performances from jazz bands from around the world, including established and rising stars, draw crowds from around France and Europe. Meanwhile, the St-Germain-des-Prés Jazz Festival takes over the streets of the iconic, arty neighborhood every May for a full program of fantastic live music. See our full guide to the best jazz festivals in Paris for more on both events. The French Open at Roland Garros: This is one of the globe's most hotly-anticipated tennis championships. Held on the clay courts of Roland Garros from late May through early June, the French Open marks the end of spring and the beginning of summer with intense competition among leading tennis champions. As trees and flowers burst out of their wintry dormancy, the city becomes more colorful and cheerful, brightening the mood and offering some fantastic photo ops. 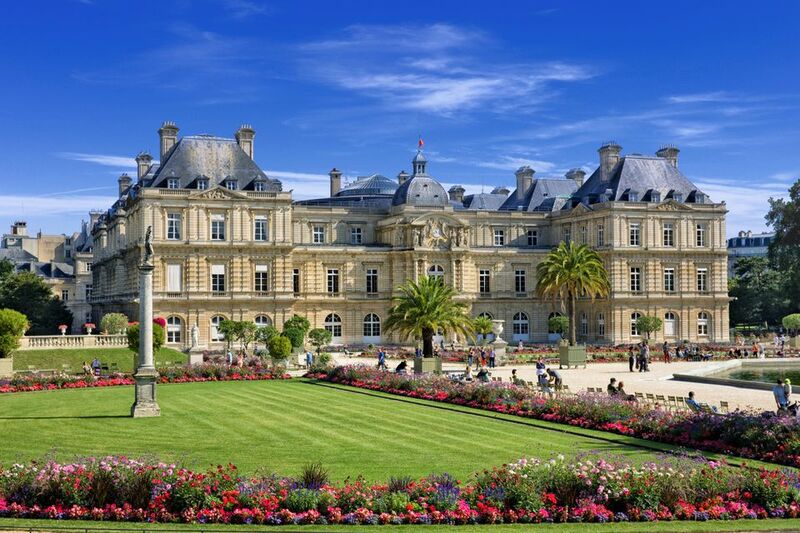 Make the most of these clement conditions by exploring some of Paris' many wonderful parks and gardens. While most people head straight for the Tuileries or the Jardin du Luxembourg (both memorable,) also make sure to check out lesser-known green spots worth trekking a bit outside of the center for. The Buttes-Chaumont is a local favorite: a romantic-style park with sweeping views over the entire city, nestled in a sleepy and untrodden corner of the northeast. Consider getting out of the city proper for a good day trip. Top contenders include the palace and sumptuous, vast gardens at Versailles, or the subtle beauty of Monet's gardens at Giverny. Amble or laze outdoors for long stretches of time. Think about shopping for a special picnic at one of Paris' wonderful bakeries, buy some sunscreen, break out a book, and enjoy. If you prefer walking, check out our complete guide to exploring Paris neighborhoods, and also consult our list of the most romantic walks in Paris. We recommend starting from any point, and just wandering. The city will never fail to surprise you,and spring promises to be a pleasant and magical time for a good, aimless stroll. Paris' famous cafe terrace culture is back in full force, so it's time to occupy the seats inside or out like a local. Check out our list of iconic, classic Parisian cafes — those that have stood the test of time, and have been places of inspiration and conversation for countless writers and artists. Student? Make sure to have a look at our list of student-friendly cafes in Paris. It'll help you pinpoint a good and cheap place to sip espresso, work, hang out with friends or check email. There are also some definite downsides to visiting at this time of year, and you should be aware of them so you can prepare accordingly. Air and train fares go up as high season returns, so it's essential to book at least six months to a year ahead of your springtime trip. Similarly, you may need to book a hotel months in advance, as occupancy rates peak in spring and summer. Check out our guide to where to stay in Paris to make a smart and informed decision on accommodations. You can expect longer lines, especially for entry to popular Paris attractions. To avoid spending too much of your day with stiff legs, I suggest that you consider purchasing a pass that allows you to cut lines at major attractions. The Paris Museum Pass can be a good choice, although some visitors judge it to be pricier than it's worth. It's best to opt for this pass only if you plan to visit more than 3 or 4 of the museums covered by it. Allergy-prone or asthmatic? Paris tends to have high airborne pollen and pollution levels at certain junctures in the spring. Often, you can literally see pollen floating around in the air and sailing down from trees. Make sure you bring along appropriate medications if you are sensitive to pollen or pollutants.